I love my hobby for many reasons. The games are amazing and varied and contain all these shiny bits. They tell stories about 1930s investigators going insane and building of fantasy empires and making awesome sushi platters. They let you step away from the ever-present glare of a screen and unplug with a beverage of choice in hand. But most of all it is of course about people that you play with. The interaction, the collaboration (or competition), the pure joy of engaging in a meaningful fun activity together is thrilling. It makes me feel closer to people and it makes me feel like we’re sharing an experience – something that might create an inside joke in the future or create a joking grudge to be invoked at a later date. I love playing games with people. So I always look for more ways to make people I know into people I play games with. I have given a fair bit of thought to what makes people want or not want to try games and wanted to share these. While I think it’s important to show specific examples of games to illustrate my points – I’ll focus on general principles that I think will make your conversion efforts effective and fun. 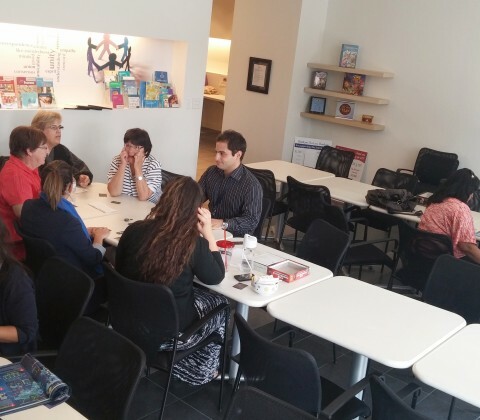 So without further ado – here are my Five Ways to Get People to Play Games. 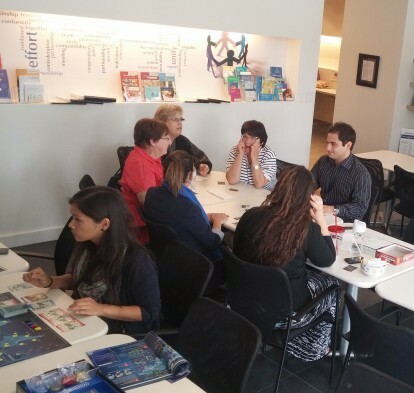 I frequently hear about the negative misconceptions that are attached to board games – considering it a kids’ activity, thinking that Monopoly and game of Life covers the entire available scope – you name it, I have heard it. Places of work specifically, with their focus on productivity and maintaining serious faces befitting highly functioning adults can be an especially challenging environment to spread the love of the hobby. However, difficult does not mean impossible, and where there is a will – there is a way. 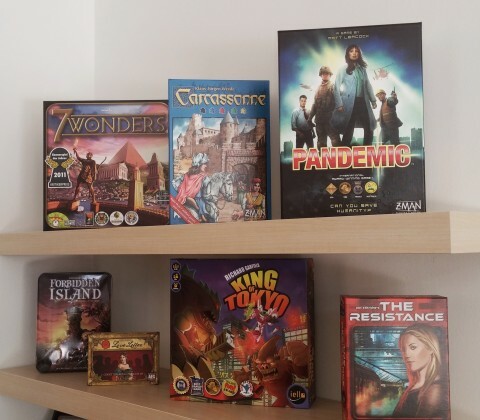 In this article, I would like to share with you my experience that resulted in a board game shelf in our break room. Maybe some of my experiences could help you in your advancing of the hobby. After all, is it not all about sharing what we love?